Did you know that one laboratory fume hood uses as much energy in a year, as three average U.S. homes combined? Approximately 60% of laboratory energy bills go to HVAC systems that need to compensate for fume hoods. Improvements to fume hoods represent a gigantic, green potential for cost savings in laboratory sustainability initiatives. 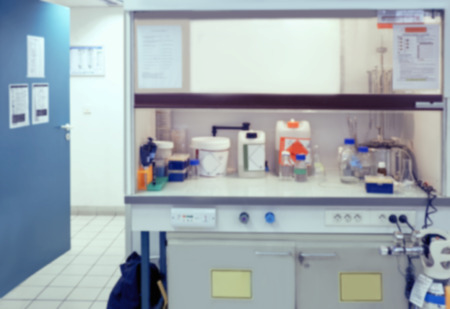 This blog post is meant to explain how to get the best return on investment for a fume hood upgrade in your specific laboratory setting. Today's high efficiency VAV fume hoods are optimized for safety and energy consumption. Their improved aerodynamic design allows for safer containment at much lower airflow speeds. They often have advanced control systems for varying airflow volumes with occupancy sensors. High efficiency fume hoods truly are better performers and better for the environment. However, unless you are planning a new building, replacing all the fume hoods in your laboratory isn't prudent. VAV have high price tags. The hassle of removal and re-installment translates into work time lost. Environmentally responsible disposal of your current hood is an issue. The pay back time on the investment may not make sense. Retro fit kits are a great way to implement the VAV design attributes into your fume hood. These kits are 10-20% of the cost of a new hood. They can be quickly installed in less than four hours. The pay back period is projected at around two years. Your current fume hood can become as safe and as green as a new VAV. The key is to get an accurate estimate of what the energy cost savings will be given how your particular laboratory currently operates. The actual savings outcome can vary from 75% to 10% in the context of your laboratory environment. This is because cooling the laboratory air places the most wasted energy demand on HVAC systems. Surprisingly, in cases where your laboratory is being significantly heated by your lighting system,laboratory equipment, or even direct sunlight – the fume hood constantly running helps to remove all that excess heat. A VAV hood might even increase your energy bills. Weird, right? This doesn't mean you can't reduce your lab's energy consumption. The situation only requires a good overall plan. The highest potential energy savings result from installing a retro fit kit to your fume hood and concurrently reducing sources of 'internal heat' gains in your lab. Your best outcome with a retrofit fume hood, will result by implementing these “internal heat gain” green lab tips. 2. Automate lighting with occupant sensors..
3. Set controlled lighting schedules. 3. Use window shades or blinds to block or utilize solar heat gains. 4. Move heat releasing laboratory equipment (i.e. ULT freezers) into cooler, window-less rooms, optimally in rooms with local HVAC zone recirculation. The overall effort is worthwhile, because the pay back includes a future where funding is reserved for scientific research - rather than HVAC energy waste!